I originally took up banjo in the 90's.but as they say,life got in the way in a huge way,and my banjo sat in it's case in storage for more than a few years. At the encouragement of my Dad in the early 21st century,he took me to get the banjo,and I started learning all over again. I've been playing 5 string now for about 15 years,and while I've played & taught bluegrass,I have went into teaching clawhammer and 2 finger style as they're much easier to learn for beginners. And I finally found a very nice tenor banjo that I play in Irish tenor tuning (which I refer to as fiddler tuning) and I play old time,blues,bluegrass,and 1920's tunes on that. 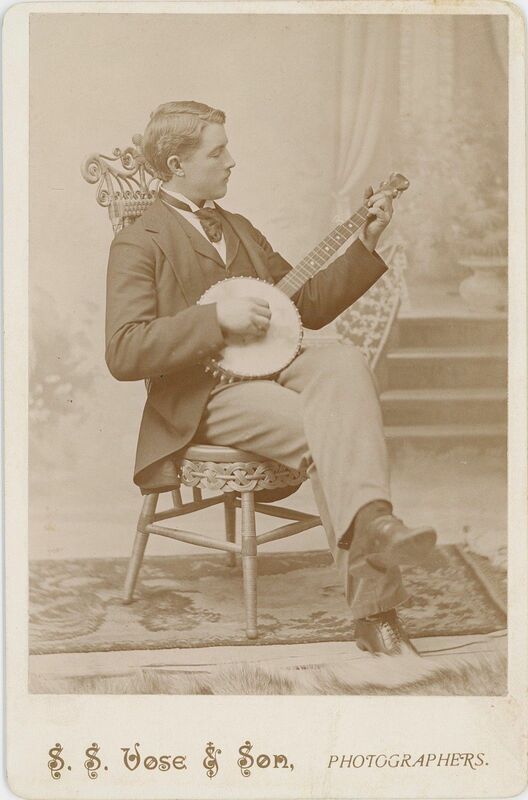 With the centennial of the Roaring 20's on the doorstep,I thought playing tenor banjo would be a hoot! And yes,I play fiddle as well. Taking that up was something I wanted to do since I was a kid and my mother wasn't going to have any of it. I started learning these instruments in middle age,so any of you reading this who might be thinking "I'm too old",don't fall for that nonsense. What I'm wanting to share here are banjo TABs,banjo reviews,and other helpful info for you players out there,as well as words of encouragement in your banjo journey. Banjobelle111 plays 4,5,and 6 string (banjo-guitar) in addition to fiddle. Hoping this page delights those uke players who also play these instruments! click the photo to buy the best 5th string capo made in the USA!